Cuddled up between eastern Indian states of West Bengal and Odisha, the district of West Midnapore has stood witness to evolving cultures that left testimonies of unique folk art and bucolic literature seldom finding significance in the din of urban mediocrity. The geographical setting of the erstwhile district of Midnapore remained the gateway for southern India and a major boulevard encouraging trade between multiple empires for centuries. Historically significant as Dantabhukti and presently known as Dantan, the region can be chronicled by historians based on references to several periods. However, the influence of the assortment of cultures on the regional literature and culture has evolved and shaped into a unique entity in itself. From religious folklores to an evolved language blending Bengali and Oriya, from the excavation of the Buddhist monastery to the scattered temples around the area and their periodic architecture gives a visitor the glimpse of diversity that this unheard of parish can offer. The period of art and culture in Dantan can be divided in two parts – the foremost being the folk culture which came to people as a legacy of religious practices, and secondly, the contemporary art forms post radio period. Exposed to trade invasions from the Mughals and then by the British, a span of ten centuries that probably marks the onset of Buddhist culture in eastern India remains the influence of the local philosophies and consequently the art forms. In a local daily published under the supervision of the local Bhatter College, Surya Nandi writes, “When the history of Bengali Literature was written, it can be assumed that it was the fag end of the Buddhist era. Contributors from to that extensive piece of history were from this area or were very close neighbours.” Apart from scripts that led to religious folklores, the area provided food for thought to Bengal as a hub of vernacular literature post independence. Nandi’s essay charters back to the days when folk theatre, poetry and co-operative literature were the part and parcel of this sluggish hamlet. As the river that signified golden lines, Subarnarekha resumed its journey over the years, Dantan, Moghalmari and the neighbouring areas of the district of West Midnapore kept exploring its affinity towards candid literature and art forms. Even as we reached the new millennium that casts a shadow of evidence and visibility on organic art, the otherwise remote village lags behind when compared to urban settlements. Whether it is the reluctance of adapting to new technologies or an effort to preserve the purity of it, the locals have kept practicing their religious folks, literature and crude craftsmanship in their own novel way. The intent of this piece should be lucid by now as grabbing eyeballs is not one of them. It is probably now that city dwellers get to know about some of the handpicked artists or fine arts practiced here as there is still a lot to perceive and ponder upon. 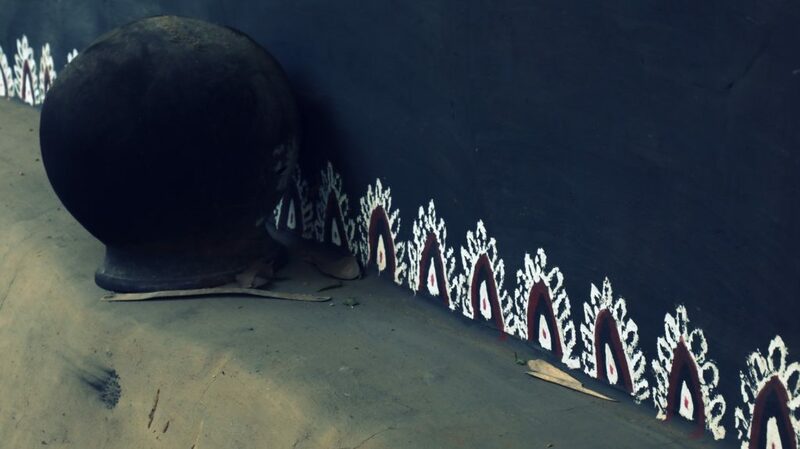 Promising a mesmerising and appealing escapade to appreciate and explore rural community art, Dantan is perhaps a haven of unrecognised artists rarely in pursuit of glitz and glory. They deserve sincere interest!